The name itself might seem disturbing to owners so what are dog shock collars all about? 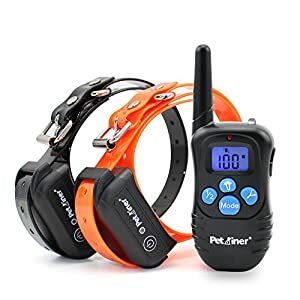 These units are used to control your dog’s behavior, for example, these electronic collars can help train your dog about staying in the yard or barking too much. 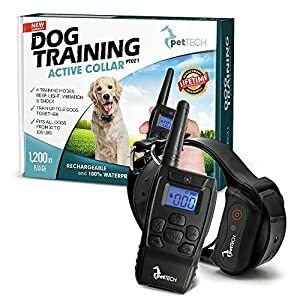 There are shock collars available for training, shock collars for large dogs, shock collars for small dogs, shock collars for hunting dogs with or without remotes … the list is long!! The use of shock collars is somewhat debated among owners. However, it’s highly advisable to make sure your dog first knows basic commands such as sit, wait, stay etc. That makes it easier for them to associate certain negative behavior to the shock. Some are more expensive than other, but it depends on what you are looking for and your budget. Shock collars are a form of aversion training originally used with hunting dogs to coach and discipline them. More recently, shock collars are used to prevent and minimize an assortment of unwanted and stubborn behaviors in pups such as excess barking, runaway behavior, aggression around food and other dogs, and to keep dogs within a safe parameter in or around the house. Shock collars should not ever be viewed as a punishment, but rather as a deterrent to unwanted or dangerous behaviour. The notion is your puppy will come to understand that the undesirable behaviour or action produces a short sharp jolt that feels unpleasant and then quit doing it. 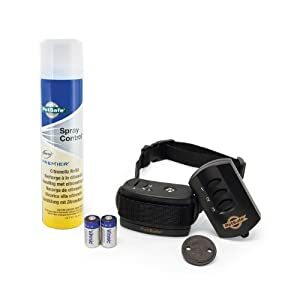 The sharp jolt is provided through a licensed dog shock collar created to purposefully deter them and it is deliberately designed to grab your pet’s focus and discourage certain behaviours, it won’t injure or distress your dog. With the majority of shock collars, there are multiple settings and levels of intensity. This means that you are fully in control of the reprimand and can tailor it to your dog. Many collars may administer a beep or vibration that serves as a warning just ahead of the reprimand. Often very quickly dogs come to recognise the beep and this alongside a voice command is enough to curb the behaviour. With border or distance coaching (sometimes use in conjunction with electrical or wireless fencing ), dog shock collars are set off by cables that are planted underground just across the line where the dog is not supposed to stray. This teaches the dog how far they are able to go without triggering a reprimand. This is sometimes reassuring to folks that are on the fence around using a shock collar. Apart from collars, such as spray collars, that administer a benign but foulsmelling blast a dog’s snout, there is little else available that can be tailors to your pets developmental stage. Some owners report that it just took several shocks to stop a bad behaviour in its tracks. Following that, that the beep or vibration has been warning enough. Shock collars may be quite capable of keeping your pet in your own premises, and that will help to keep them safe when they feel like going in search of freedom. Obviously, more stubborn dogs can take more time to coach. 3. They work even when you are not there. Even if the shock collar is being used to regulate chronic barking it can be used when you are out. This could be particularly helpful if you’ve had neighbors whine about your puppy’s protests. The same holds for shock collars used as boundary controllers, even though they do require any hands-on training. We wouldn’t recommend leaving your pet unattended for fear of over-correcting. Shock collars are definitely a more affordable alternative to an expert dog trainer or putting up extensive fencing. 1. Training by negative association. A lot of owners can not fathom using these types of collars – however alot of this is down to misunderstanding or misinformation. Regardless it is still a method of curbing bad behaviour with negative consequences. 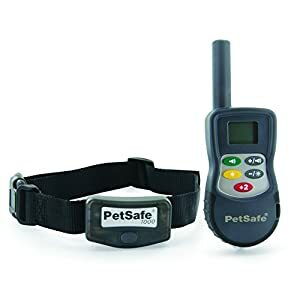 Without being there to reinforce and correct whenever a shock occurs, an automated bark collar and deliver shocks inadvertently or too frequently. This can lead to confusion and fear (see above) resulting in worse behaviours. Shock collars do not reinforce decent behavior by using a constructive benefit like affection, treats or, verbal positivity (“Good boy!” so it will not reward positive behavior such as sitting or obeying a control to”Stay!”. Much like any training, you always need to reinforce positive behavior with a benefit of attachment, playtime or perhaps even a little treat. Without further ado lets jump on into the ones we have selected as our favourites! PetSafe was founded 25+ years ago in 1991. It’s the biggest maker of electronic products for pet training in the US. The company focuses on providing the most advanced and game-changing designs. PetSafe is under the parent company Radio System Corporation that owns several popular pet brands throughout the world. This collar is a good idea for pets that are easily excited and distracted. The 85m Spray Commander can be used with basic commands up to 85m away, which makes training shorter/efficient. The collar includes 2 spray stimulation levels. This includes a short/long burst of spray. There’s also a tone-only function. This helps to prevent unwanted behavior form pets in a safe and effective way. The Spray Commander uses only Spray/Tonal Stimulation in order to redirect the doggy’s attention. This helps to keep training safe. This, in turn, can prevent unwanted behaviors like extra barking and jumping. That, in turn, can help develop a pet that’s obedient and well-behaved. The SPT-85 Dog Collar is also bundled with a 3-year manufacturer’s warranty. This provides extended protection for your dog’s collar. This collar includes a remote with a range of 200 meters. There are 10 vibration levels and 2 beep levels to provide dog training that’s effective. The receiver is rechargeable/waterproof. In fact, your dog can actually swim underwater with this collar, and you won’t have to worry about damage. You can even train 2 dogs by using one extra receiver. The unit also includes a remote transmitter that’s rechargeable. It contains a backlight LCD that’s easy to read. You can also charge the transmitter & receiver at one time so you won’t have to deal with battery issues. There’s also an auto power-saving feature so you can spend more time playing with your pet pooches. The dog collar is also adjustable/durable with a strap made of TPU rubber. You won’t have to worry about your dog’s toleration of static shock since it functions with vibration and beeps. This makes the unit 100% safe. There are no functions of different buttons. You just have to select Mode to pick the training method you want. Trainer offers auto vibration/sound feedback. This teaches your dog to stop unwanted behavior as soon as it happens. The unit includes 7 vibration levels and several sound tones for correcting behavior. This helps to stop barking as soon as it starts and doesn’t experience any pain in the process. You can test the intensity at lower levels. Keep doing this process until your dog reacts to the vibration signal. The unit is dog-proof and waterproof. The vibra collar is made of durable and robust materials. IT’s also weatherproof with IP65 rating. This allows your pet pooch to swim while wearing the collar. The IP65 weather resistance protects the collar in rainy/stormy weather. It also won’t be a problem if your dog digs holes in the garden. The unit offers a gentle and pain-free way you can train your dog anytime during the day/night. There’s no pain caused to big/small dogs and adults/puppies with the vibration/sound feedback. The vibration intensity can be tweaked easily/quickly. You just press the collar’s buttons to achieve success training and a good relationship with your canine. It’s advisable to use the collar indoors so you won’t have to worry about fake signals outdoors. A rechargeable battery that’s built-in provides 1 week of operation after 1 hour of charging time. The collar shows how much juice is left on a single charge. You can use a USB cable to charge the battery anywhere. This collar is safe and humane and controls dog barking via sound and vibration. The company focuses on the dog’s health as its top priority. You can control the barking needed to activate the dog collar. This lets you find the right setting for your canine. The company focuses on making sure the collar has features you can tweak for your pet pooch’s needs. The Anti-Bark Dog Collar offers progressive training. The anti-bark device offers 7 levels of sound/vibration. It makes sure the canine gets the minimum situation that’s needed to prevent it from barking. It comes with 15 adjustable levels – Inactive stimulation and One tone (beep). If you haven’t found what you are looking for then don’t worry!